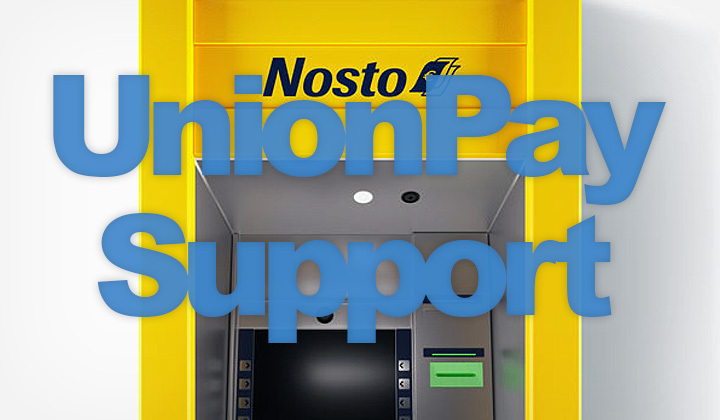 The competing Finnish ATM network “Nosto“, is planning to support bank cards from China UnionPay, the first proper solution for withdrawals in Finland. Currently the only option in Finland, is to use ChangeGround ATMs, which are too few and costly, limited to 150EUR/withdrawal. And the dominant interbank network “Otto”, seems not interested in supporting UnionPay. After a discussion with “Nosto Automaatti”, they announced that you can withdraw money from their cash machines with China UnionPay in 2019. The current estimate is by end of 2018. Unlike ChangeGroup they have hundreds of ATMs nationwide, and their single cash withdrawal limit is higher at 400EUR/withdraw. As the competing "Otto" ATM network seems not interested, I wanted to ask if Nosto has any plans to support Chinese UnionPay debit cards? UnionPay is the world's biggest payment organization, and it's support in cash machines around Europe is nowadays common. Nosto ATMs will have the possibility of withdrawing cash also with Union Pay cards during this year, likely by the end of this year as soon as agreements have been made. Koska kilpailevia Ottopisteitä ei näytä kiinnostavan, haluaisin kysyä, onko Nostolla mitään suunnitelmaa tukea Kiinalaisia UnionPay debit kortteja? UnionPay on maailman suurin maksuorganisaatio, ja sen tuki pankkiautomaateissa ympäri Euroopan on todella yleistä. Nosto automaateille tulee mahdollisuus tehdä nostoja myös Union Pay korteilla tämän vuoden aikana, luultavasti menee loppuvuoteen kunhan sopimukset ovat valmiit. Nosto Automaatti ATMs are located all over Finland. For example in cities like, Helsinki, Espoo, Vantaa, Turku, Kirkkonummi, Porvoo, Järvenpää, Nurmijärvi, Kotka, Hyvinkää, Rovaniemi and many more..! Any comments or questions on UnionPay in Finland? Your input is most welcome below. Thank you.